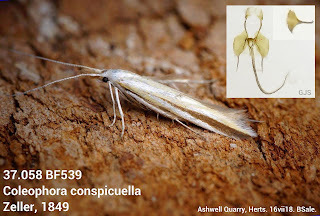 Coleophora conspicuella New to Herts! 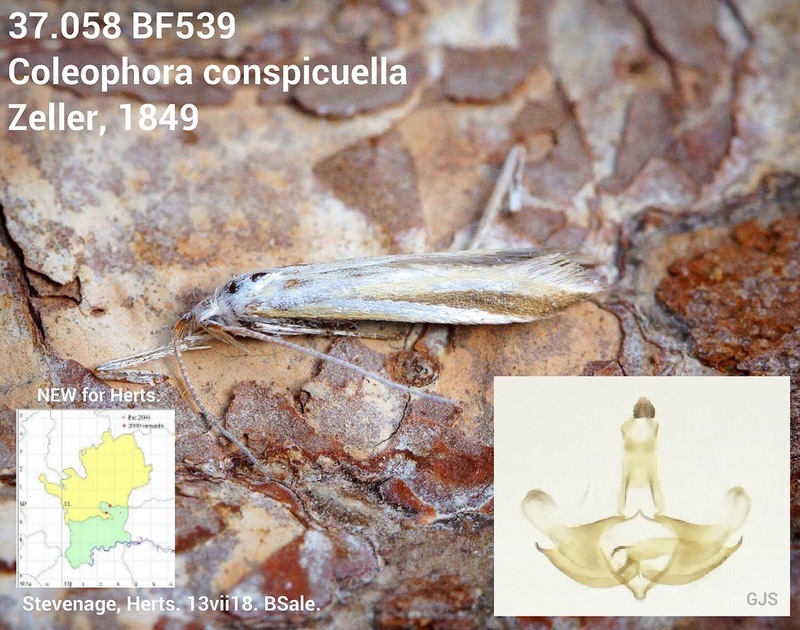 Just a brief post about my garden first Coleophora conspicuella, which was added to the Herts county list on the 13th of July 2018, after Graeme Smith dissected it for me. Subsequently, I took another similiar looking Coleophora 3 nights later at Ashwell Quarry, which again turned out to be Coleophora conspicuella. Even better was that they were both a male and a female! 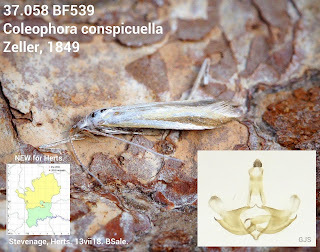 I also have another one pending that I swept from a grassy verge. 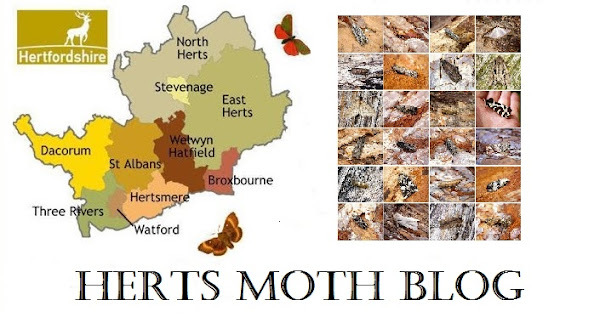 Here are the images and dissections.